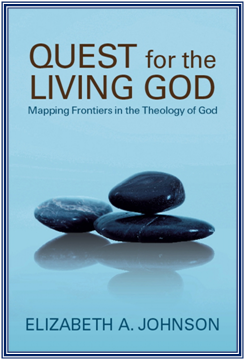 (1) Thinking about God: Each chapter in this book reflects on images and ideas about God – aspects of the Divine Mystery that the Christian tradition may have forgotten or overlooked. How have you experienced the Holy in your own life? What have your experiences taught you about God? Last year, during a sabbatical period, I found your blog while reading Elizabeth Johnsons book. I am catholic theologian who studied in the Netherlands, lives in Belgium and who is interested in an open ecumenical approach to theology. Would it be possible to participate and to discuss on this blog?